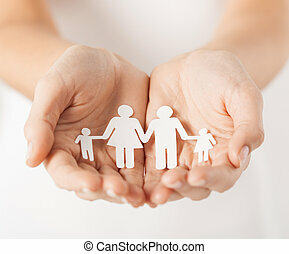 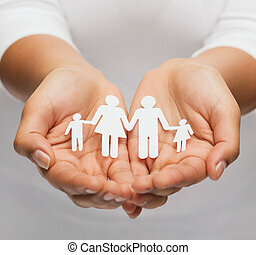 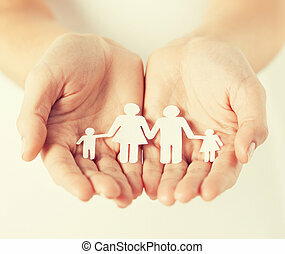 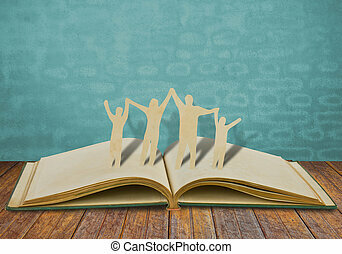 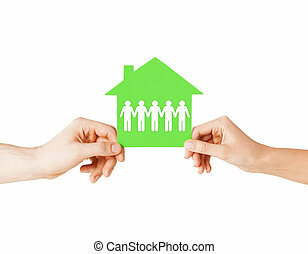 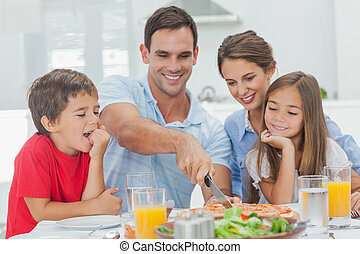 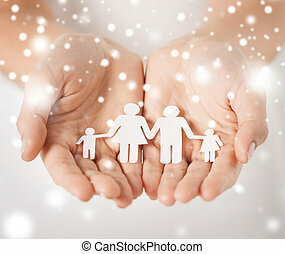 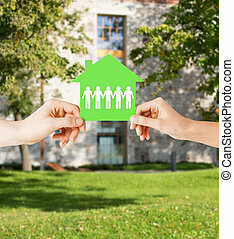 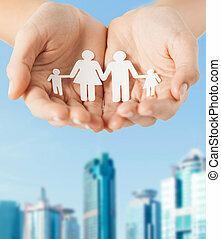 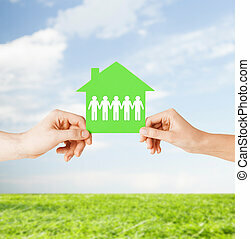 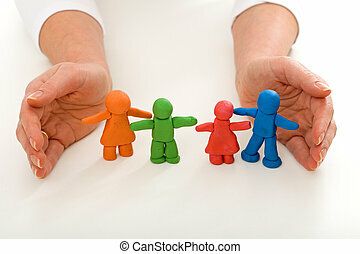 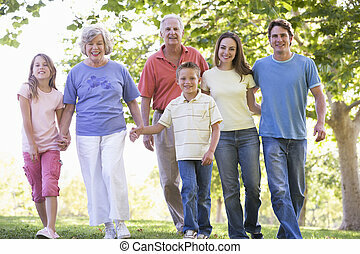 Woman's hands with paper man family. 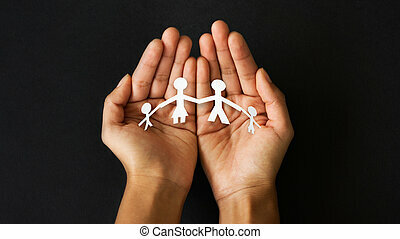 Close up of womans cupped hands showing paper man family. 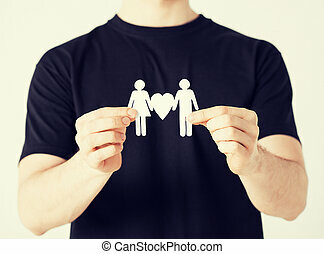 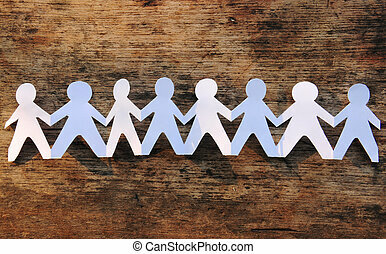 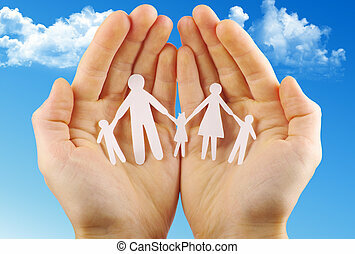 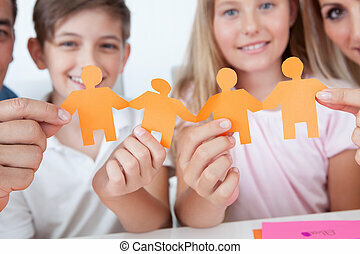 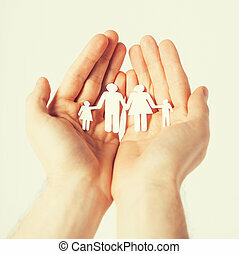 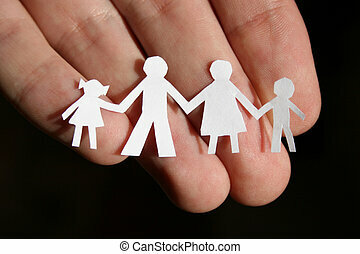 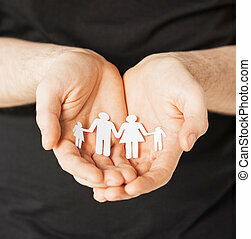 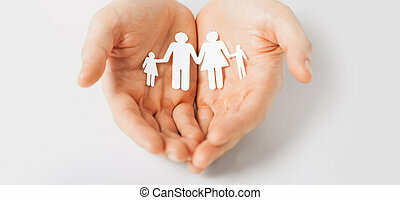 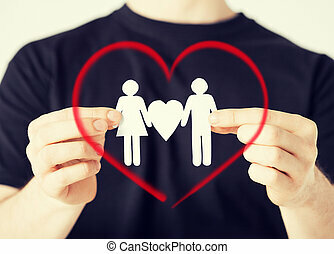 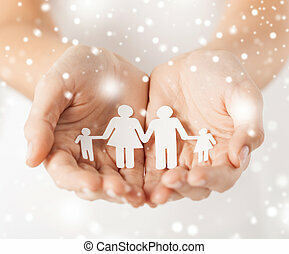 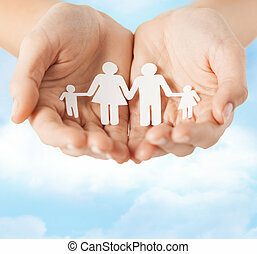 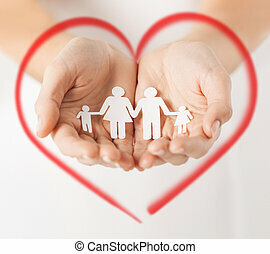 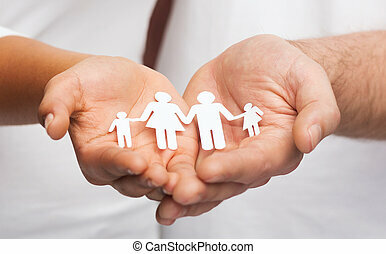 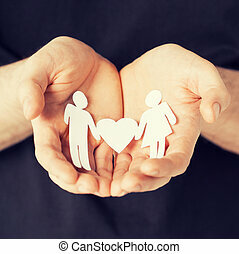 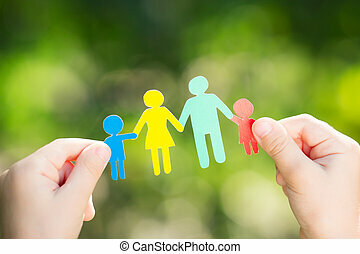 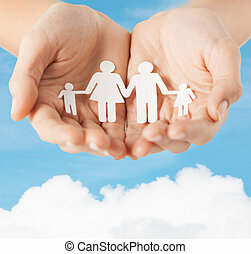 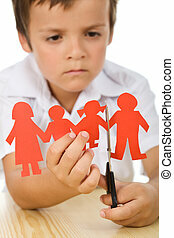 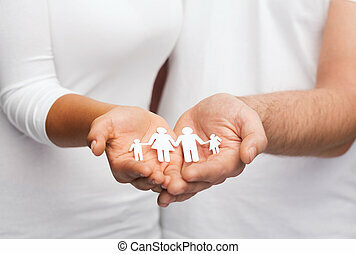 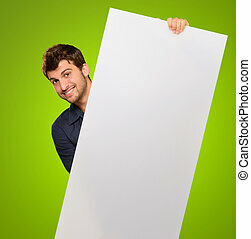 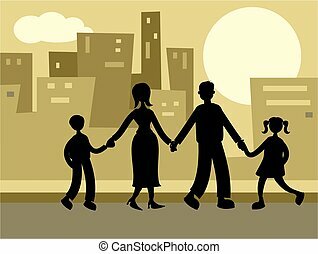 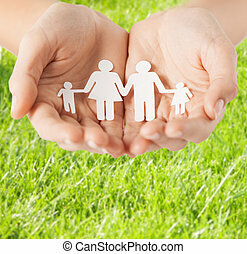 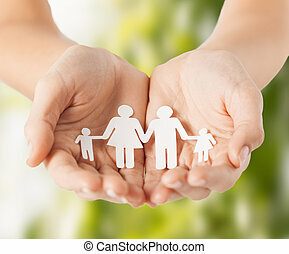 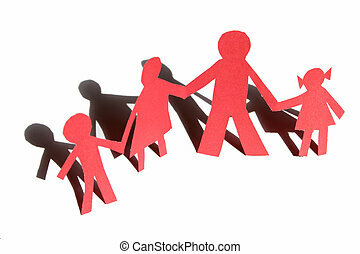 Hands holding a cut out paper family.